Big news, Potter-heads! Big, big, big news. For ages, we've been waiting to see who would get cast alongside of Oscar-winner Eddie Redmayne in the Harry Potter spinoff trilogy Fantastic Beasts and Where To Find Them . Redmayne has been locked in as Newt Scamander, a magizoologist (it will all make sense in the movie, trust me) traveling the world in search of magical creatures. 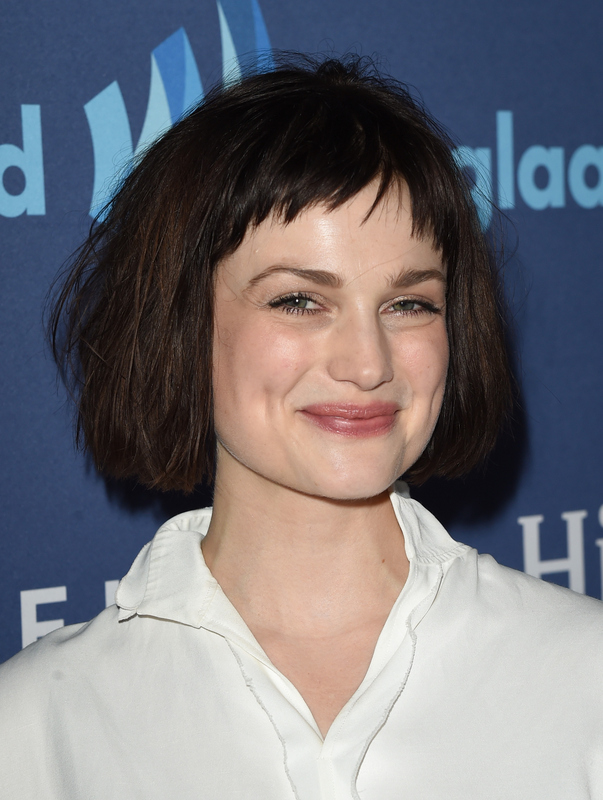 It feels like we've known this bit of casting news for ages, with nothing new to chew on, and, voila, we now know that Alison Sudol has been cast in Fantastic Beasts, the second female lead after Katherine Watterson. It's a big development for the movie, which had long been rumored to be looking for more established actors (like its leading man) to anchor it. Talented Sudol may be, but many people have never actually heard of her. That's not actually that surprising, since she's best known for her singing pipes, not her acting chops. She's had a heck of a career as a singer-songwriter, leading up A Fine Frenzy. I am glad they went with someone less famous. I think it's fitting to cast an unknown actress in this role, since so much of it is similarly shrouded in mystery. This has been a highly sought after role, and, between this and the speculation around who would get the role of Tina (Watterson was ultimately cast), I think it's safe to say that women will be a driving force of the movie. Between all of the attention over the casting rumors and the plot synopsis itself, I think we can safely assume that Queenie and Tina play a big role in Scamander's adventures, though we don't know what or how. This story is coming from the same brilliant mind that brought us feminist hero Hermione Granger, Professor McGonagall, and Luna Lovegood — just to name a few. No matter what the specifics of the parts are it's practically guaranteed to be, well, magical.